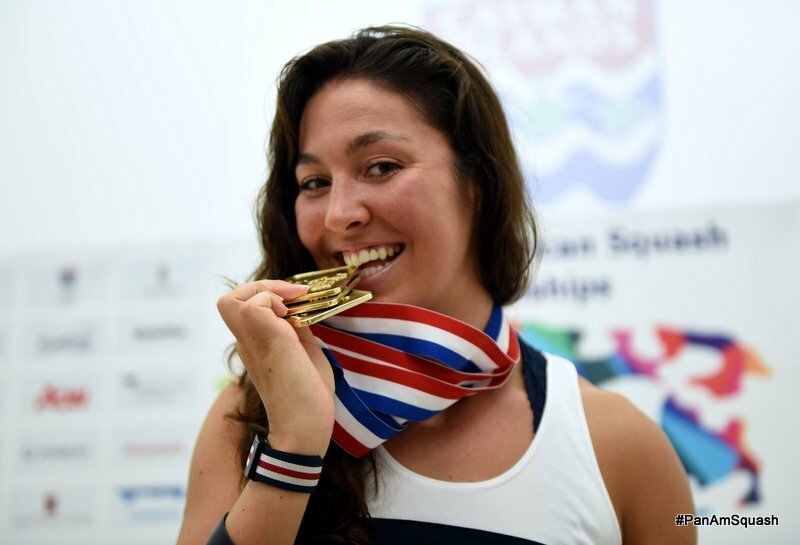 After the region's leading players competed for seven titles over seven days at the Pan American Squash Championships in the Cayman Islands, it was USA's Amanda Sobhy who emerged as the most decorated athlete with three gold medals at the South Sound Squash Club in Georgetown. The 25-year-old world No.18 from New York kicked off her gold haul by winning the women's singles title as expected, beating her younger sister Sabrina Sobhy 11-3, 11-8, 11-8. Sabrina, a 9/16 seed, beat three higher-seeded opponent to set up the first ever PanAm final between two siblings. 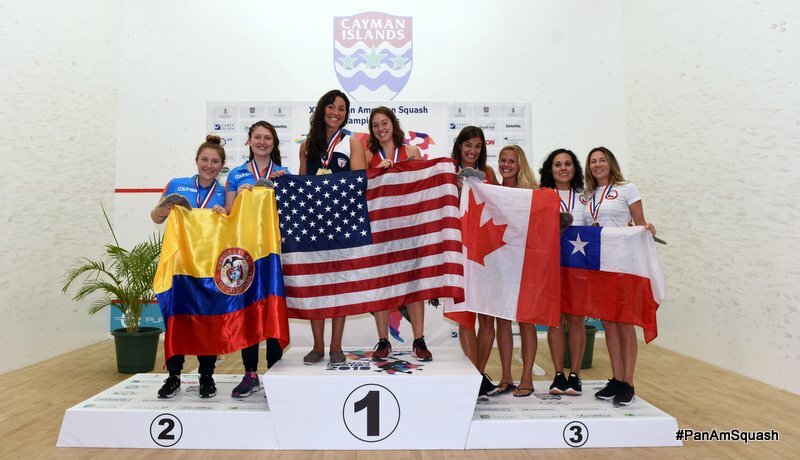 Partnering Sabrina, Amanda collected gold No.2 in the women's doubles with a straight games final victory over Mexicans Laura Tovar & Maria Tovar Perez (podium picture below). It was on the final day that Sobhy senior struck gold for a third time, leading favourites USA to a 2/0 win over second seeds Canada in the women's team final - in a tie that Sabrina also played her part by winning the opening match to put her country into the lead. 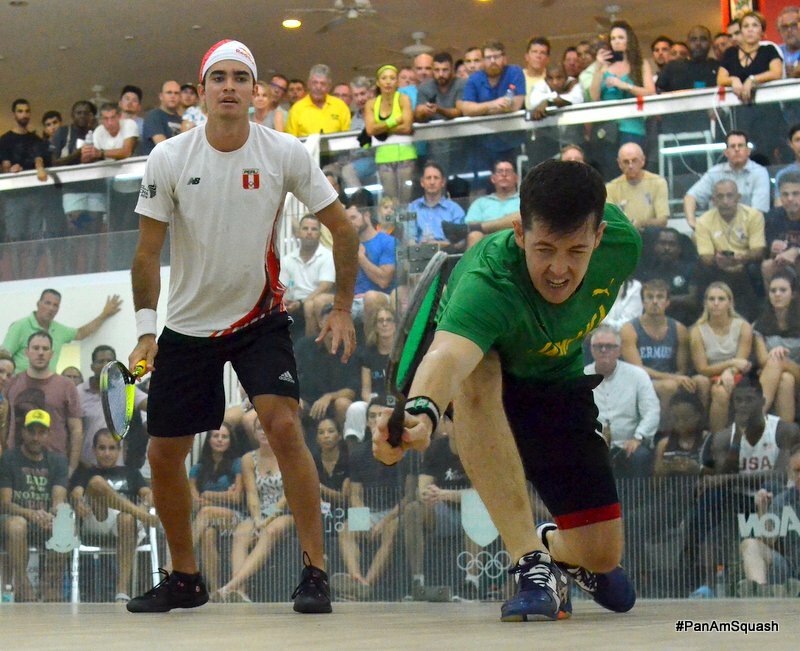 History was made in the men's singles event where Diego Elias became the event's first Peruvian gold medallist when he beat Christopher Binnie 11-7, 11-8, 11-5 in the final. But 9/16 seed Binnie (pictured above, right, with Elias) also had much to be proud about after dismissing three higher seeds en-route to becoming the first ever Jamaican to reach the final. 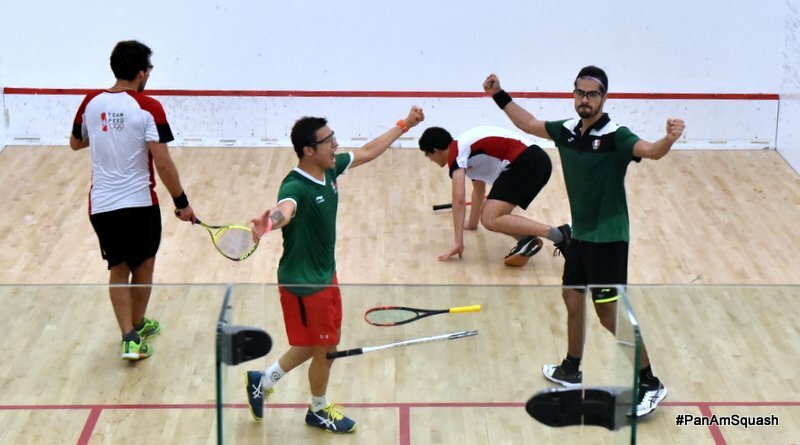 Mexico won the first of two gold medals in the men's doubles event where second seeds Alfredo Avila & Cesar Salazar survived a 129-minute final to see off unseeded Peruvians Andres Duany & Alonso Escudero 11-8, 10-11, 11-8. The two Mexicans (pictured above after clinching the doubles gold) paired up again in the men's team final where Mexico secured gold after beating fellow 3/4 seeds Colombia 2/0 - the title clinched when underdog Cesar Salazar claimed his first win in seven years over world No.6 Miguel Angel Rodriguez, ranked 18 places higher.